Christmas is so close and I’m sure you have already made your houses sparkle with all the cheerful, festive lights and I am pretty sure that a richly decorated Christmas tree is brightening the living rooms where you, your families and friends will gather to celebrate the Nativity, the birth of the baby Jesus. But, are you fully aware of what you are about to celebrate? As, you have to know, if you don’t know it already, that Jesus Christ was not born at all on Christmas day; the 25th of December was the birthday of Mithras. Mithras who? I guess, some of you would ask ; just wait a minute as I have to give you some information first. 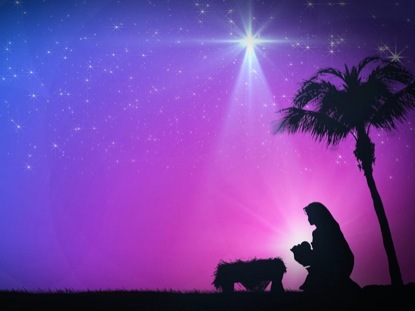 You have to know that there is no real evidence about either the precise year or the day of Christ’s birth. It seems that around the third century AD some Christians had started celebrating Christ’s birth, as well as his death, on March 25th, the spring Equinox, a day that symbolized the “rebirth of the earth”, but as far as we know the celebration of Christ’s birth was not general until the fourth century. 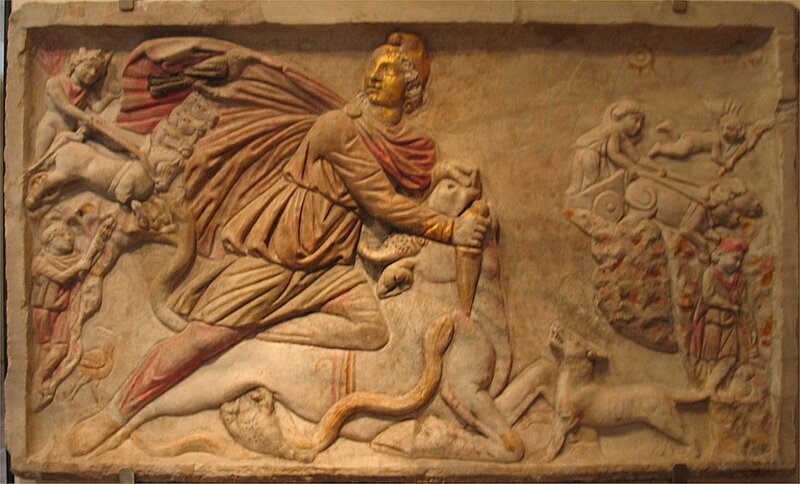 By the time of Aurelian’s reign (around 214-275 AD), it appears that the god Mithras (originally a Persian deity who was said to be either the son of the sun or the companion of the sun) was earning popularity among traveling Roman soldiers. Aurelian decided to seize on an opportunity to bring a monotheistic cult to the Roman Empire, and it is likely that his motivation was to compete with Christianity – a growing monotheistic religion that he saw as a threat to the empire. Hence, the Dies Natalis Solis Invicti, “The Birth of the Unconquered Sun,” was established to celebrate Mithras on the twenty-fifth of December 274 AD . The choice of the day was particularly symbolical, as, at that time, it was considered the winter solstice, that is, the moment when days begin to lengthen and the power of the sun to increase; the fittest day for the son of the sun. The Egyptians represented the new-born sun by the image of an infant, which they used to bring forth and exhibit to his worshippers on his birthday and kindle lights in token of festivity. When the doctors of the Church perceived that this celebration was becoming dangerously popular even among the Christians, they took counsel and resolved that the true Nativity should be solemnized on that day and the festival of the Epiphany on the sixth of January. Accordingly, along with this custom, the practice has prevailed of kindling fires till the sixth of January. That’s why we keep on lighting our towns and houses after so many centuries: in memory of the god of the sun!! In short, Christmas is nothing but a relic of the worship of a pagan god known by the Persians as Mithra or Mithras dressed in Christian symbolism and a lot of lights. It’s almost Christmas time, but if you are looking forward to enjoying that magical atmosphere and you don’t feel like waiting a couple of weeks more, well, there is a place in Italy which has already put on the festive attire of the most enchanting celebration of the year: Trentino Alto Adige. 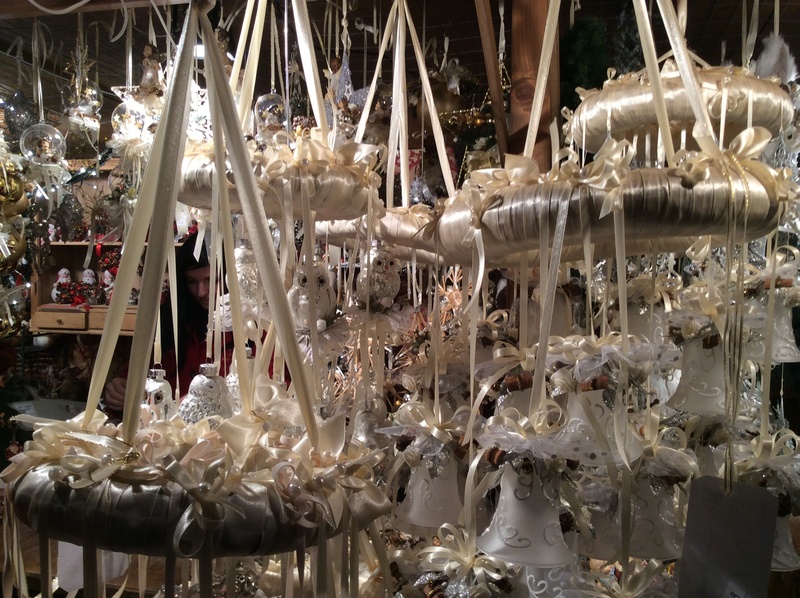 My last experience in Trentino Alto Adige last summer had not actually been the most enjoyable one, I know, but I think anybody must be given a second chance, therefore my husband and I took advantage of a four-day holiday to visit the famous Christmas markets in Bressanone, Bolzano and Merano. 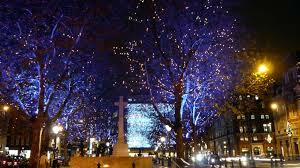 Christmas markets are very renowned here and are a major touristic attraction. 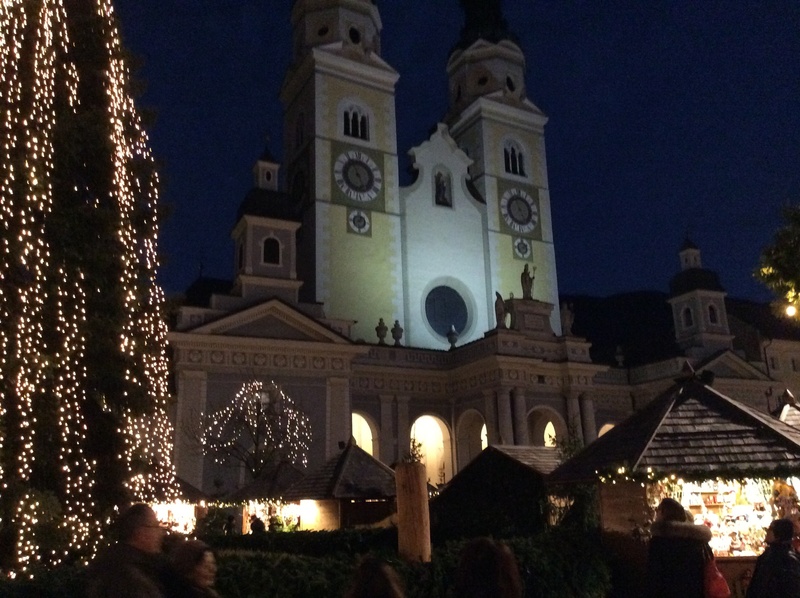 We arrived in Bressanone at sunset and the town was all a glow of lights, Christmas trees and ornaments. Once arrived at the cathedral square, I could see the classical stands which displayed the typical products of the land, hand-made decorations, cribs, carved wooden figures, candles etc. I was looking for one stand in particular, the “strauben”stand. 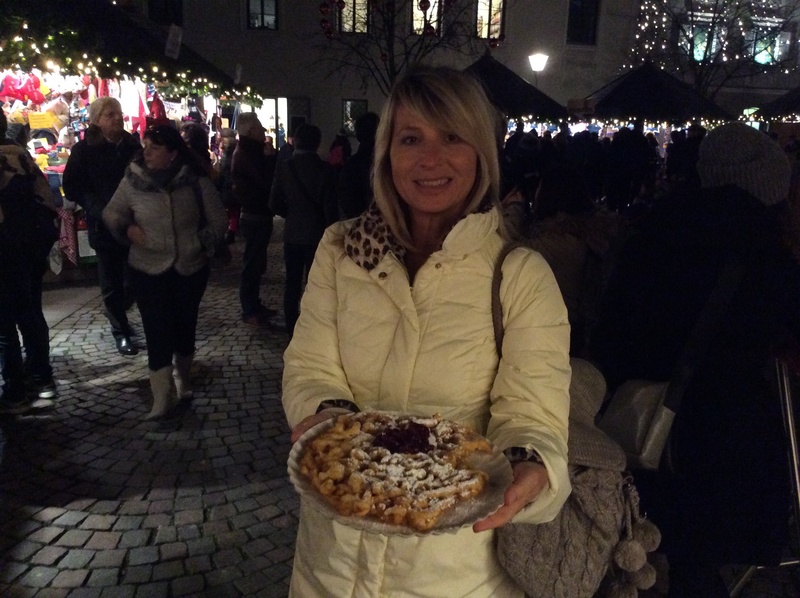 Strauben is a typical sweet fritter, coiled and twisted, flavored with grappa, served with ice sugar on top, plus cranberry sauce or chocolate. I devoured it in few secs without even blotting my winter coat. My white winter coat. By the way, I noticed that the lady who had served me the strauben was looking at me with a certain concern. She informed me, in fact, that in short, hundreds of young boys would have reached the square, dressed up as devils with the intent of frightening with their whips, rusty chains and bells the people they would meet and smear them with black grease. Whaaaat??? I had the unfittest outfit on, for sure. In few minutes the fairy place turned out into one of Dante’s circles of hell. When I saw “Caron dimonio ” and his fellow devils rush into the square, I immediately ran away to seek shelter in one of the shops around, while I sent my husband to take some pictures for the sake of the post. But what was all that mess about? 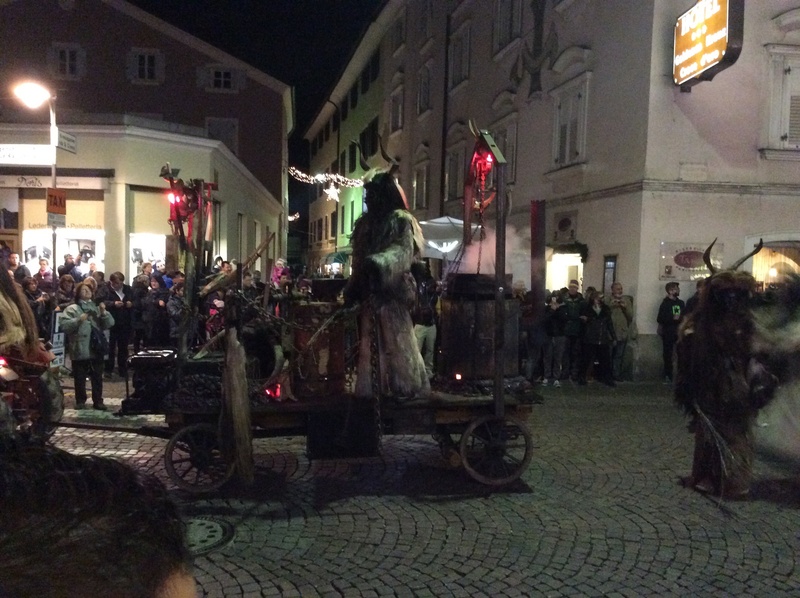 Those beast-like creatures are called Krampus and belong to the folklore of Alpine countries. It was thought that they appeared during Christmas season to punish those naughty children who misbehaved to carry them away to their lairs. 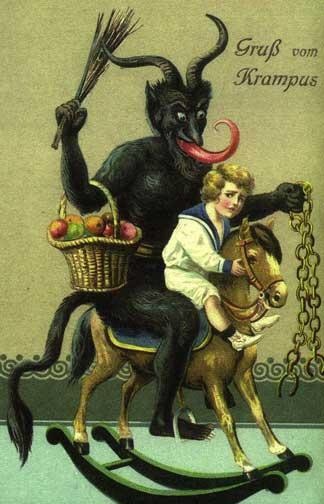 Traditionally men dress up as Krampus during the first week of December, particularly on the evening of the fifth of December, the eve of Saint Nicholas day. 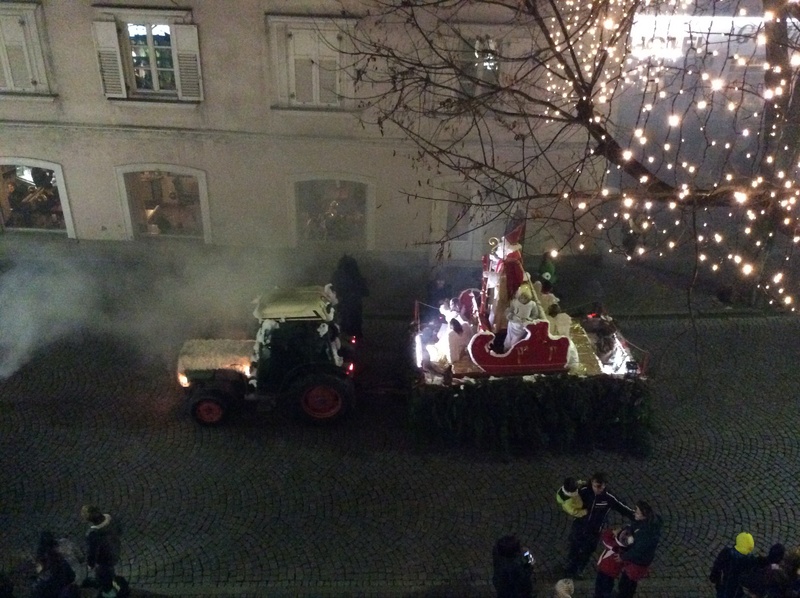 This tradition is, in fact, linked to the figure of Saint Nicholas. It seems that long, long time ago, in times of famine, the young men little mountain villages used to wear furs made up with feathers, animal skins and horns. In this way nobody could recognize them and they were free to terrify, rob and sack the inhabitants of nearby villages. After a while the young men realized that there was an impostor among them as his feet seemed to be goat hooves: he was the devil himself. The bishop Nicholas was called to exorcise that disturbing presence and once the devil was beaten, from then on, young men from those valleys parade along the streets of the villages dressed up like devils, following the image of the bishop who had succeded in defeating evil. They no longer frighten the villagers, but bring gifts (they usually throw nuts or sweets) or hit naughty boys. 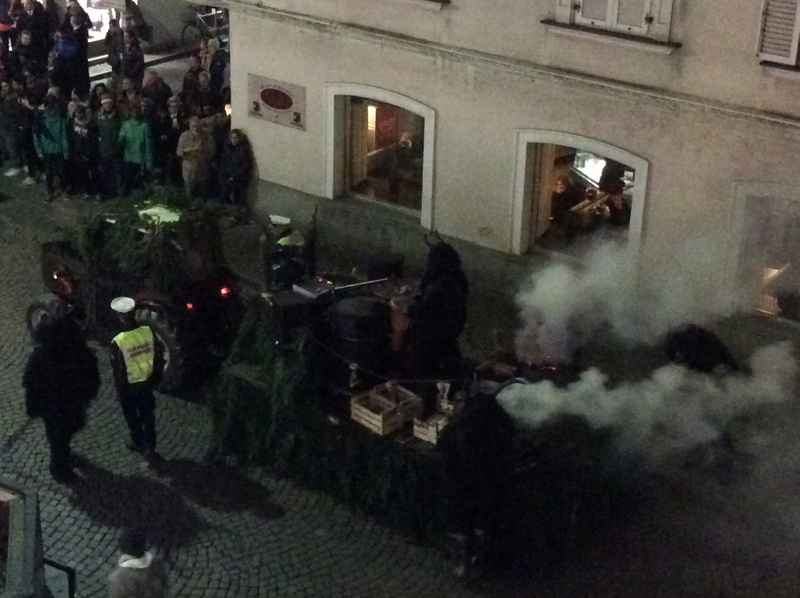 But as soon as the sun sets, Saint Nicholas disappears from the scene, so without the control of the Saint, the Krampus are once again free to spread terror hitting whoever crosses their way. 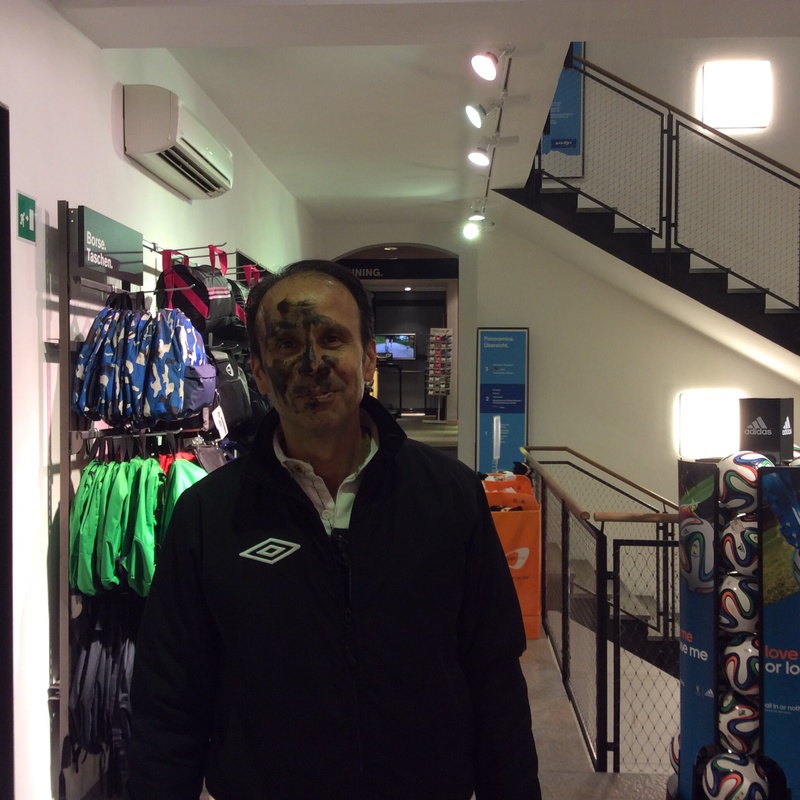 And in case you met one of them, this is what might happen to you .